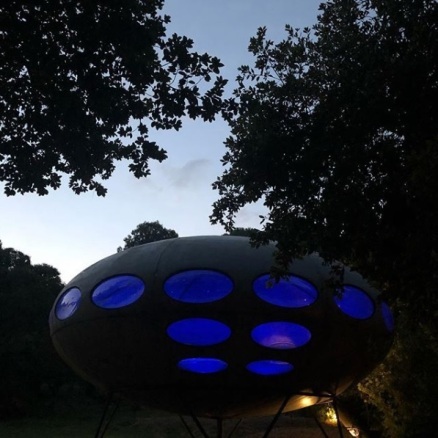 Owner Dakis Joannou recently posted this great shot of his Futuro at dusk to his Instagram account donkey301239. I have not seen a whole lot of photos of this Futuro but I did come across a couple of photos on Instagram recently. The first photo is by donkey301239 [aka owner Dakis Joannou] and the second is by sophiadelachouvel. The original photos can be found on Instagram here and here. These great photos of this Futuro were sent to me by owner Dakis Joannou this week. The photos are displayed with permission - thanks Dakis. 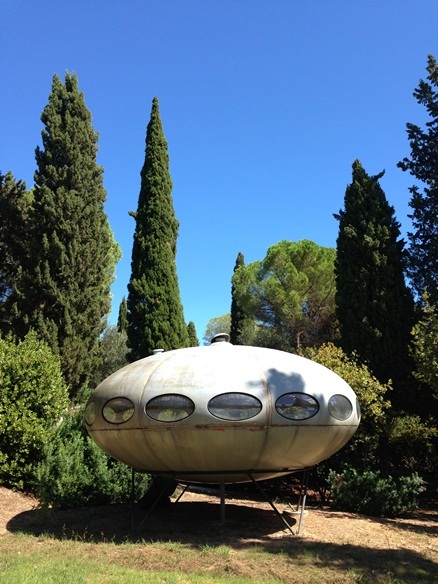 The two photos below, one of the Limni Futuro and the other of the Futuro displayed at MUDAM and then sold at a Christies auction clearly show this is the same unit. The MUDAM photo, taken 091107, is by Original Rudie and is displayed under CC 2.0 license. This image was courtesy of Alara Orhon Souvenirs on Tumblr. I was looking back at various photographs, emails and other items this week relating to, among other things, the history of this unit and in particular the theory that this was in fact the unit previously located at 10 Pastoor Lambertzdreef, 3150 Haacht, Belgium. This theory had been suggested to me several times in the past and after looking over everything this past week I have concluded that the evidence does indeed suggest that this Futuro was in Belgium, then exhibited at MUDAM and then purchased by Dakis Joannou at the 2007 Christie's auction. For more detailed information see the Belgian Futuro page. 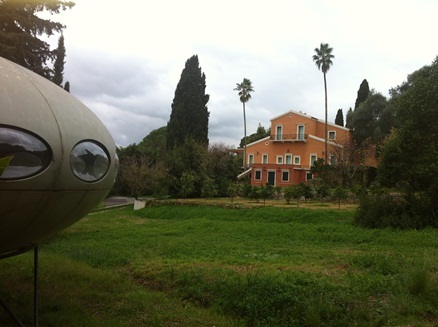 I received an email this week from Dakis Joannou in which he sent me two photos of his Limni Futuro. The photos are displayed at left - thanks Dakis. I had always been of the opinion, based on timing and various photographs I had seen, that this Futuro was in fact the one sold at a Christies auction on 112707 but I could not be sure. One of the photographs I received this week however made me certain that this was the case. 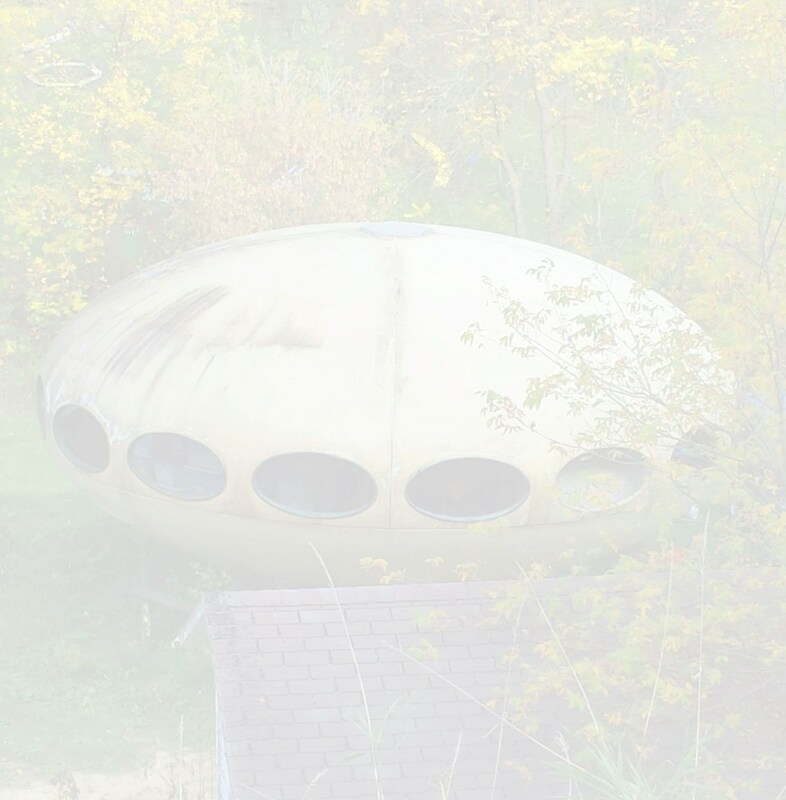 The catalogue for the Christie's auction tells us that the specific Futuro House being auctioned was the one exhibited as part of a 2007 exhibition at the Grand Duke Jean Museum of Modern Art [known as MUDAM] in Luxembourg City, Luxembourg. The exhibition was titled "Tomorrow Now - When Design Meets Science Fiction" and it ran from 052507 to 092407. Photographs of the Futuro exhibited at MUDAM compared to the Dakis Joannou photo clearly show this is the same unit; examples for comparison can be found at left - note the appearance of the seams between the panels and the various streaks and blemishes on the paintwork. 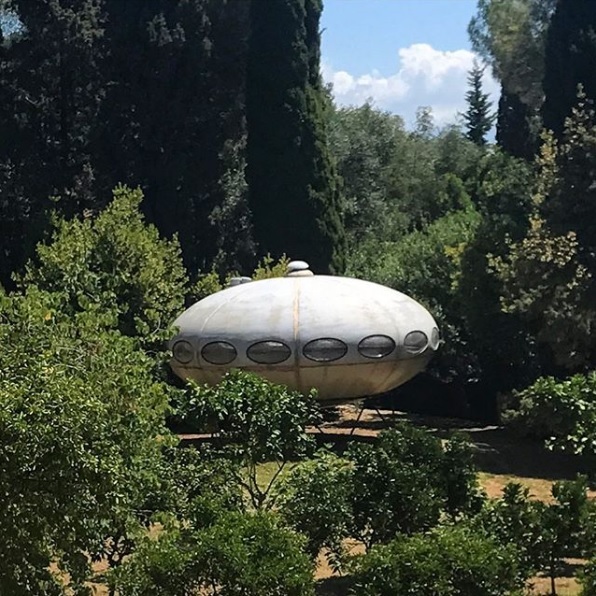 If any lingering doubt about this still remained it was eliminated when, in a subsequent email, Dakis Joannou confirmed that the Futuro was indeed purchased at the Christie's auction. I came across the image at top left a few days ago on Tumblr posted by Alara Orhon on her blog Souvenirs. To be honest when I first looked at the photograph I wondered if it was photo-shopped and I even wondered if it was actually a photograph at all; to be honest I still look at it and find it just a little odd somehow but it piqued my interest and the search was on. "Joannou is a major collector of European and American contemporary art and is the founder of the DESTE Foundation for Contemporary Art. He is currently serving on the councils of several museums worldwide and has continuously been on ArtReview's Power 100 List since its inception - in 2004 he was ranked its number one collector in the world." 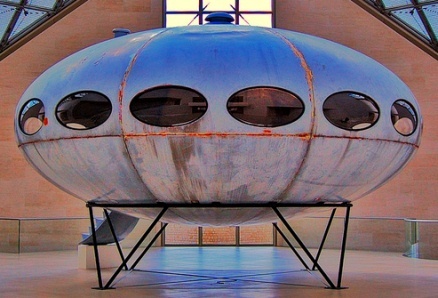 Over the last decade or two the Futuro House has begun to be perceived as something of an art object and that fact along with what I had learned about Joannou, wealthy and a collector of art, suggested to me that it was highly possible that Joannou would indeed have a Futuro House in his art collection. 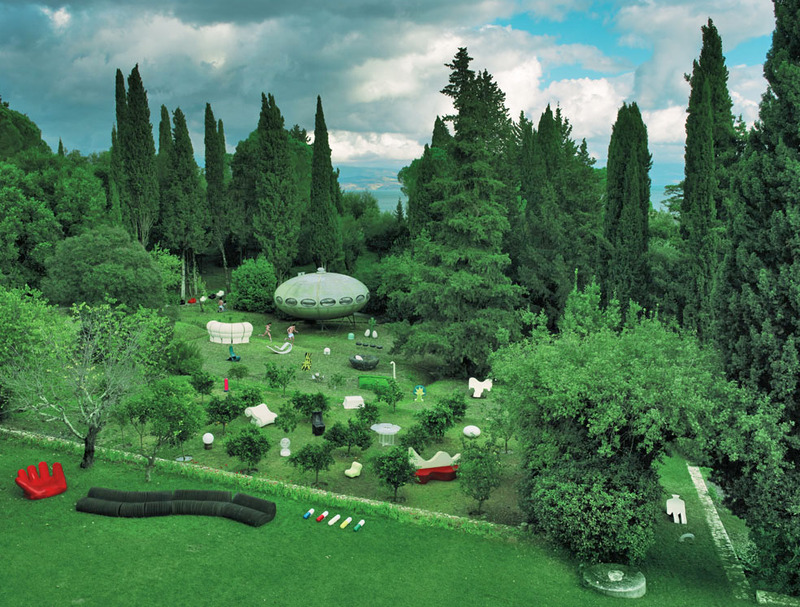 As a wealthy industrialist and major art collector Joannou has been the subject of many articles on the web and eventually I did come across one that mentioned a Futuro House; a January 2013 article on the Vogue Italy website [Italian text | Google translation to English here] which features an interview with Joannou. 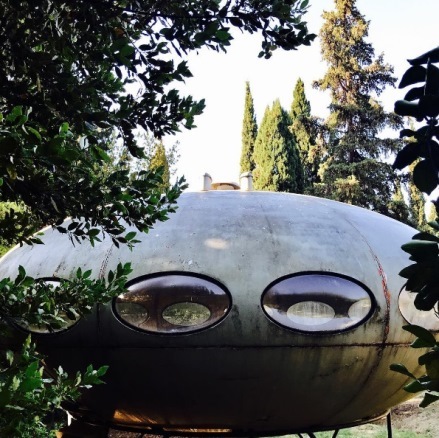 Text translated by Google is not always easy to follow but it seems that Joannou has assembled a collection of art and design objects focused on the year 1968 which fits well with the Futuro House being the year Matti Suuronen designed his iconic masterpiece. So, it seemed there was likely a Futuro on the island of Corfu but where? Corfu is an island of, according to Wikipedia, some 267 square miles and from experience I know that searching Google Maps for something the size of a Futuro in an area that size would take forever. However there was one clue in an article on the website Nowness.com which indicated that Joannou's estate would be located on the coast [and check out the yacht!]. 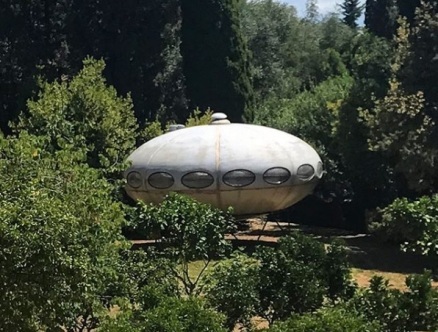 Given the size of Corfu even knowing the Futuro, if there, would be located along the coast it seemed like a search could still take a long long time but there was nothing else to narrow the search so it was time to kick up Google Maps. It was my lucky day, I picked a place to start the search completely at random and it turned out I had picked a location only a mile from the Futuros location and I found it in just a few minutes. 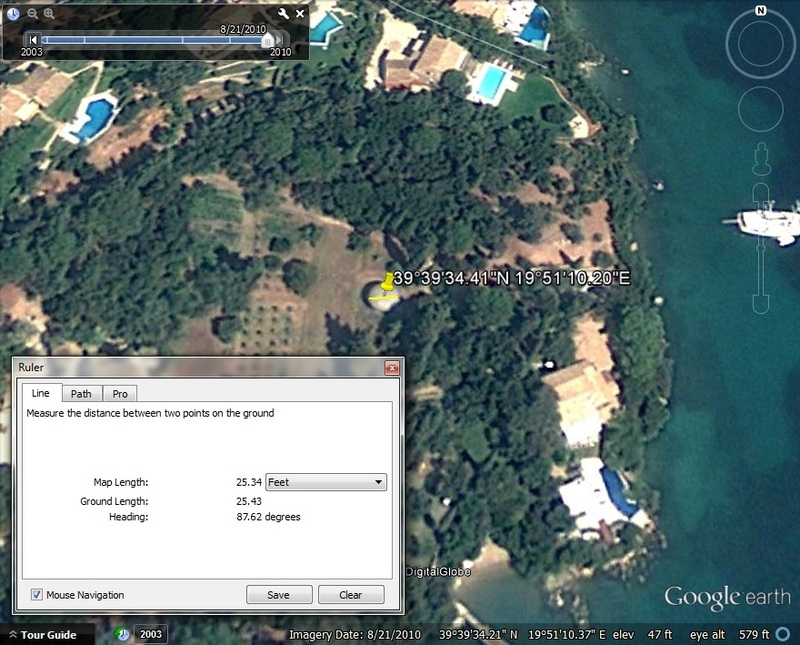 The Futuro is located close to Limni, Corfu at 39°39'34.41"N 19°51'10.20"E. The imagery is not perfect and the Futuro is not visible at all in Bing Maps but it is good enough to confirm the presence of a Futuro, the size is as it should be and the shadows the object casts look correct. 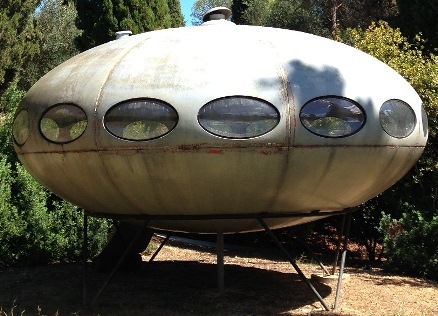 If anyone has any more information on this Futuro and in particular any photographs I would love to hear from you. Personal correspondence with owner Dakis Joannou 030119.